If you’ve found this blog entry you probably need help programming your LEHLE SGoS pedal. Don’t worry. Remember the 90s? When multi effects pedals had their golden age, and crazy developers as well. Submenu after submenu, everything squeezed into a yellow-green 2-row LCD display. You needed to read the 89-page manual (pdf and search function didn’t exist back then), study the midi implementation chart and of course learn all the double functions of the knobs and buttons. Ahh yes! It was so romantic when it used to take 2 hours to change the volume of a patch. When we designed the SGoS series, we wanted to keep it simple. However, now and then I get mails from customers who ask for help in programming a SGoS pedal or tell me that the pedal doesn’t respond to an incoming midi message. This always takes me by surprise because programming our pedals is very easy. Ok, so I’m the tech support and enjoy manuals for bedtime reading. Even if sometimes they could do with an update in clarity, they are still fun. When I reply to customers I always use very simple examples, I ask them to imagine how the inside of the SGoS pedal works. Connect the 5-pin DIN connector to the midi output of your device, e.g. 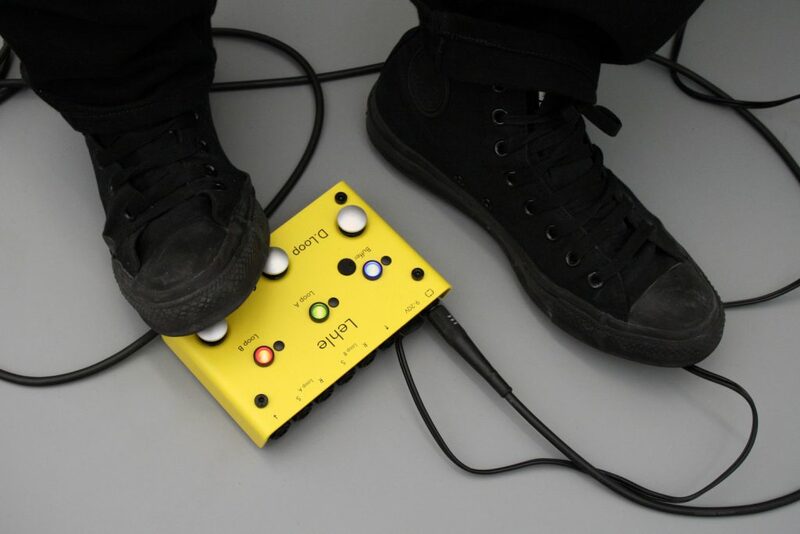 a foot controller, keyboard, midi interface or amp. Connect the TRS to the input jack leftmost on your LEHLE. It’s the sync jack. Now all you need to do is to send a program change command to the LEHLE SGoS pedal. You tried this but nothing happened? Correct. Inside of the LEHLE there’s no action or command assigned for this incoming message. The pedal needs to learn. Imagine there’s a big Excel-spreadsheet in the pedal. It has 127 rows and 3 columns. And it’s empty. E.g. you are sending pc (program change) #001 to the LEHLE, it checks its chart for row #001. All three columns are empty and so it does: nothing. Perfect. Fill it in! Every time you are sending a pc to the SGoS it references its chart and checks if there’s an action entered. If there’s an action defined it recalls it. Otherwise it does nothing. If you look at your SGoS pedal you see these black buttons near the LEDs (except 3at1 SGoS; please use the foot switches). We use the black buttons to select a state. If you toggle the black buttons you can manually change the state of your input, output, loop, buffer, etc. depending on the model of your SGoS. If you press and hold, the LED will flash and save the state. You successfully filled a cell in your spreadsheet! If you want to change the other two columns, don’t let me stop you. Now let’s say you send pc #002 to your SGoS. Again the LEHLE pedal takes a look in its chart for row #002 and you get it: nothing entered. So fill it in! Since the 3at1 SGoS doesn’t have the black buttons, use the foot switches instead. Press and hold for output 1, press and hold for output 2. If you now imagine your SGoS has googly eyes, programming gets way more fun. All the presets will be stored on a flash rom and saved forever, except if you revert back to factory settings. What if you want to remotely control external gear from your LEHLE SGoS? That’s no problem at all. Since the sync jack of our pedals works bi-directionaly, but the midi protocol does not (meaning it doesn’t work in both directions), you need to reconnect the 5-pin DIN connector of your cable from “midi output“ to “midi input“ of your external device. Most commonly you’ll be using an amp, an effects pedal or maybe a second LEHLE SGoS pedal that you’d like to control remotely. 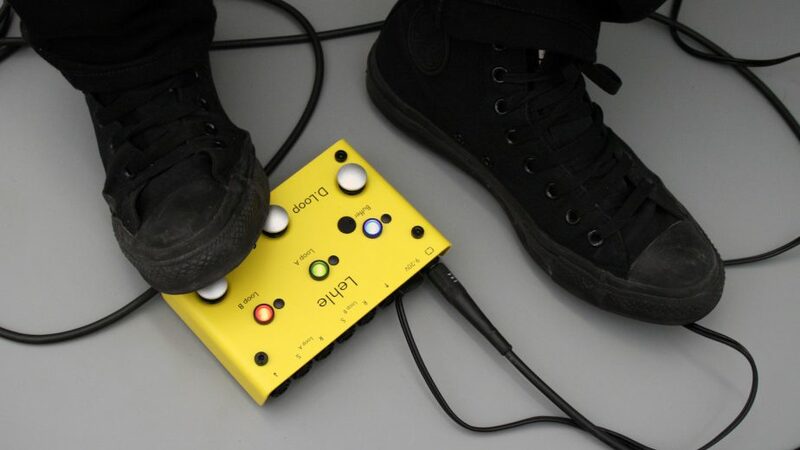 If it’s a second LEHLE pedal, simply use a TRS-TRS cable. Press and hold all three foot switches. The LEDs will flash and one LED will remain. If it’s the left one you’re in mode 1, if it’s the middle one it’s mode 2 and the right LED means mode 3. The DUAL SGoS has a fourth mode which is displayed by the left and middle LEDs. Ok, now that you know how to change the mode of the pedal let’s do it. 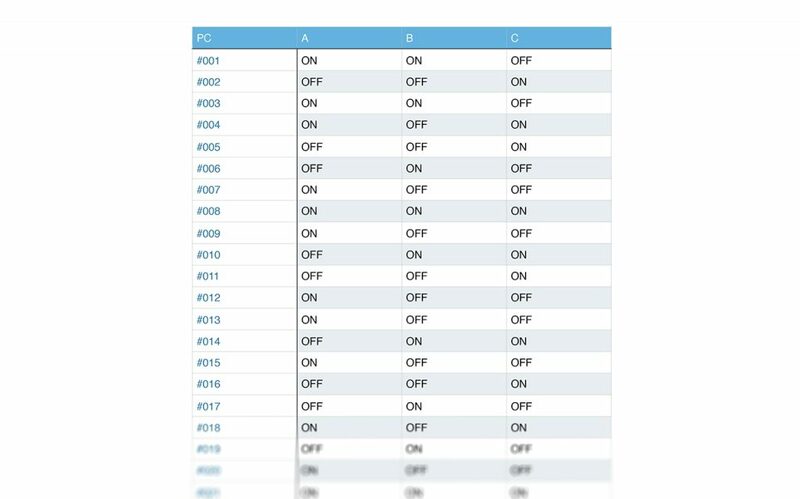 You’ll need mode 3 to remotely control another device. Follow the above procedure until the right LED remains. If you press a foot switch the SGoS pedal sends a program change message. Your external gear should react and recall any preset. If not, please refer to their manual or check if they have a fancy blog as well. If you have a D.LOOP or a 1at3 SGoS it’s the same concept: each new LED signals a change of shift in pc numbers in increments of 3. This function does not exist on the 3at1 SGoS. You probably have heard of “channels“ and “omni“. So what’s this exactly? It’s like a telephone number. You want to call a friend, you dial in the number on the phone. They pick up and you immediately start talking “Hey mate what’s up? Listen, I have to tell you about my new pedal!“ But the person on the other end of the phone interrupts, “Sorry man, wrong number.“ and hangs up. 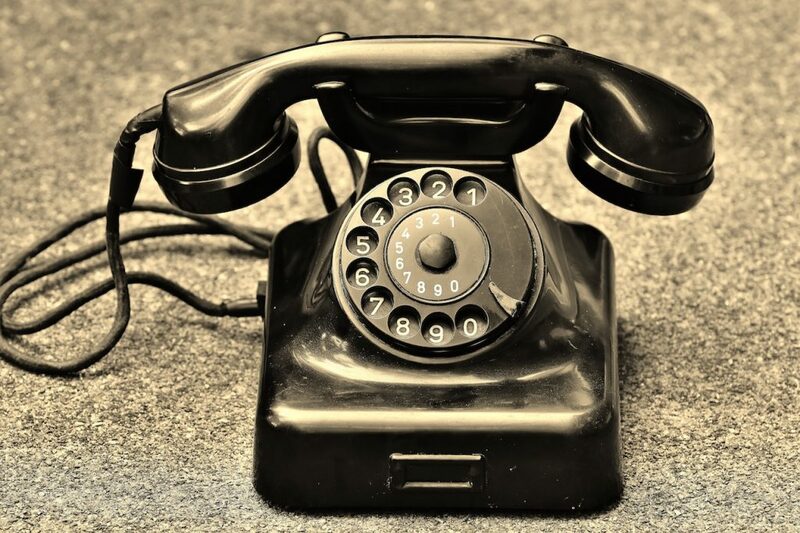 Wrong telephone number – wrong midi channel. If you want to send a message, the receiver needs to have the same channel as the transmitter. There are 16 different channels. So if you’re sending in channel 1, the addressed device should receive in channel 1. If it’s set to channel 2 or 5 or 14, it simply ignores your “call“. Except: there’s an Omni-mode. It’s also called the “I listen to everyone“-mode. If you have a small setup consisting of 2 devices (one sends – one receives) you don’t need to care about channels. Simply set the receiver into Omni-mode and you’re fine. If you have a big setup, you probably need to care about midi channels, because not every sent message should be responded by every device (Ask a keyboard player. They can tell you endless boring stories.). By default every LEHLE SGoS pedal sends on channel 15 and receives in Omni. The left LED will flash, then the middle one, then the left one again and so on. If you release the foot switch straight after the first time the left LED flashed, the device will receive only at channel 1. If you release after the middle LED flashed, the device is set to channel 2. I hope you can count up to 16, because you probably need to. If you see the left and middle LED you’re back in Omni-mode. Your SGoS pedal receives in every mode. You don’t have to change the mode if you just want to receive program change commands. 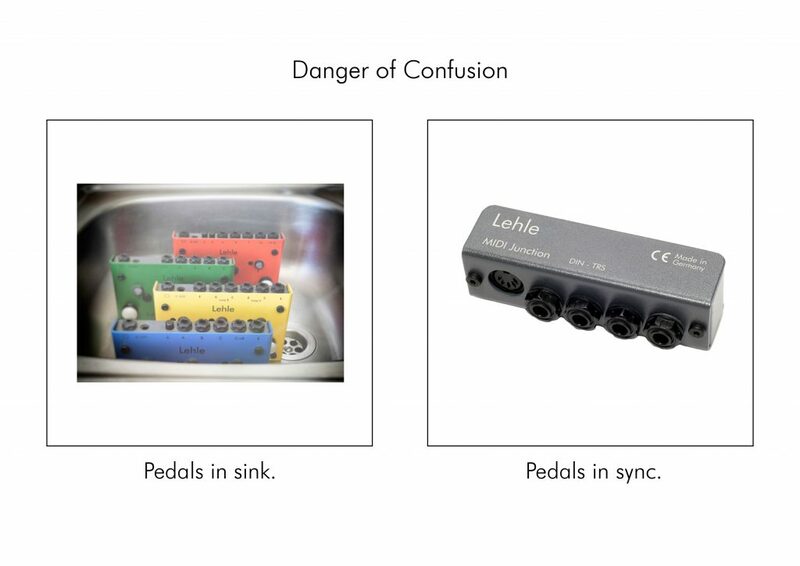 In factory default mode the LEHLE pedals receive in Omni and send on channel 15. The first mode is the “What-you-see-is-what-you-get-Mode“, meaning the foot switches are connected to the jacks. The second mode is the programmable mode (except DUAL SGoS), so you can save any combination to the foot switches. The third mode is the midi mode in which the SGoS pedals send pc messages to control external gear as well. Q: Is midi mono or stereo? A: Neither. Midi is a digital controlling message consisting of ones and zeroes and doesn’t transfer any audio signal. Q: What’s the maximum length of a midi cable? A: Midi.org says flawless operation is guaranteed up to a maximum of 15 metres. Q: Which midi messages can I use to control my SGoS pedal? A: Your SGoS pedal can be controlled via program change messages. All others (control change, SysEx, etc.) are being ignored. The SGoS pedals send program change messages only. Q: I tried everything, but I can’t get it to work. A: Check what is coming out of your external gear and/or check what the SGoS pedal sends. There are good tools out there, helping you to see which commands are sent. A lot of audio-interfaces have a built-in midi in/out or simply use a USB-midi cable to check what is being sent. Check out www.snoize.com (mac) or www.midiox.com (win) to check the messages on a screen. This helps a lot. Q: I want to use more than 2 LEHLE SGoS pedals in sync. How can I do this? 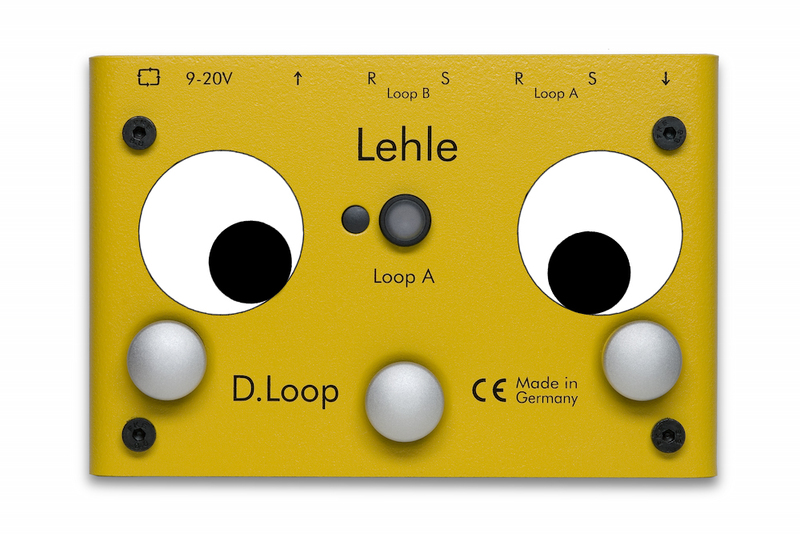 A: Check out the LEHLE MIDI JUNCTION. This tool helps to connect all the SGoS pedals and also integrates external midi gear. Q: What’s the deal with your LEHLE MIDI CABLE? A: Our cable connects the 5-pin DIN jack to a TRS jack, which is needed to integrate external midi devices. If your favourite dealer doesn’t have the cable in stock, he can surely order it or, if you’re a hero in soldering, you can simply solder a cable on your own. As mentioned in another blog post (TRS: balanced or stereo or what), midi can do a lot of cool things, sync and remotely control all your gear. If you still have a question not answered in this post, just get in touch with me at support@lehle.com, have a chat about CC#120 and how you can trick your keyboard player.